Upholstery steam cleaning can be intimidating, but with these do it yourself tips, the task becomes much easier. Make your furniture look like new! There’s no need to hire an upholstery steam cleaning company when you can easily clean your upholstery yourself. Upholstery steam cleaning requires the following items: upholstery shampoo, soil emulsifier or pre-conditioner (for very dirty furniture), scrub brush, steam cleaner, and a fan (optional). You can find these products at any home or hardware store. While experts will tell you an upholstery specific steam cleaner is required, a carpet steam cleaner will work just as well. 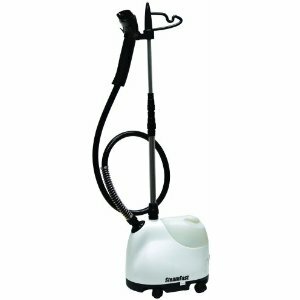 An upholstery steam cleaner may be smaller and easier to work and come with hoses or nozzles that make cleaning furniture easier. Your first step to upholstery steam cleaning is to pre-condition the fabric. It’s always a good idea to spot check the fabric on a part of the furniture you don’t see first. Pre-conditioning includes spraying a soil emulsifier or upholstery pre-conditioner on the fabric. This loosens dirt and oils that have been ground into the fabric. Next, you’ll want to shampoo the the fabric. This can also be done with a sprayer, like the soil emulsifier. Some formulas offer a soil emulsifier and shampoo in one. It’s recommended that you use a shampoo made specifically for upholstery, although some mild carpet cleaners will work just fine on your furniture. After you’ve thoroughly covered the upholstery, scrub in the shampoo with a scrub brush or towel. You will want to agitate the formula enough to create some suds. Use your steam cleaner to then steam the furniture. This removes the water and dirt. Remove as much water as you can with the steam cleaner so that your furniture will dry faster. Use a dry brush to brush the fabric in all directions to give your furniture a brand new look. If you’d like to speed up the drying process, you may also use fans or a blow dryer. You might also consider adding a solvent based fabric protector to your upholstery when you’re done to protect it from dirt and oils. Microfiber couches and furniture are becoming ever more popular. They are usually stain resistant, but can still get dirty over time. To clean a microfiber piece of furniture using a steam cleaner, you’ll want to make sure you use a sponge instead of a scrub brush to agitate the shampoo. Choose a shampoo or pre-conditioner that has a low pH balance. You can even use dish soap and water with microfiber. Use your hand or a gentle brush, when finished, to spruce up the fibers. 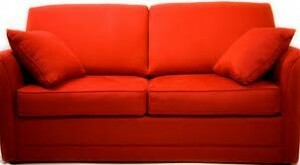 Microsuede and suede furniture can also be steam cleaned, but you will likely want a professional to do it. Other ways you can clean your suede furniture at home includes using baby wipes and suede shoe polish. Now that you’re an expert at upholstery steam cleaning, check out our other do-it-yourself furniture cleaning tips here.